Has been heavily involved in the Hispanic Community for the last 25 years. One of her dreams has always been helping entrepreneurs achieve their dreams by organizing events and offering consultation to help businesses expand their services in Utah. Besides being involved in the business world for more than 25 years she is also involved in helping her community here and abroad. -Received the Outstanding Peruvian Award from the Anna Lindh Organization, for Peruvian that have succeeded in business and other areas in Peru and abroad. Before moving to Salt Lake City, Utah from Peru to go to college, she worked at Continental Bank, one of the largest banks in Lima, Peru. She is the mother of 3 grown ups adults. 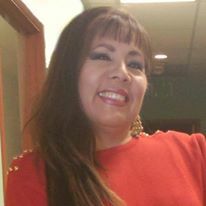 Her enthusiasm and self determination helped her launch the first Hispanic publication in Utah which has been running successfully for the last 25 years. She understands clearly what does it take to make it in life, work long hours, implement new winning ideas. Combining her strong head for business, entrepreneurship and compassion Ana Maria now is embracing this new passion in helping others in need and help new entrepreneurs to succeed and reach their goals.